COMMENTS: normal series since 2013. Plate style since 1991. 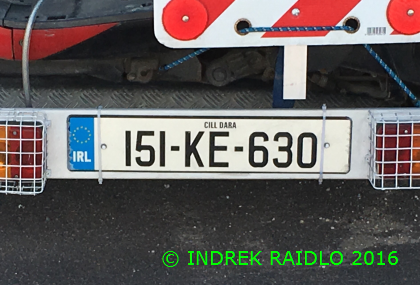 151 = first registration between 01.01.2015 and 30.06.2015. C=Cork. COMMENTS: normal series since 2013. Plate style since 1991. 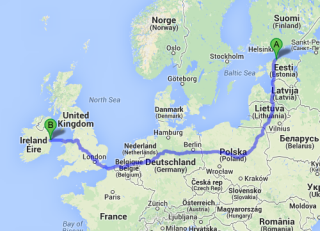 151 = first registration between 01.01.2015 and 30.06.2015. KE=Kildare. COMMENTS: normal series from 1987 to 2012. Plate style since 1991. 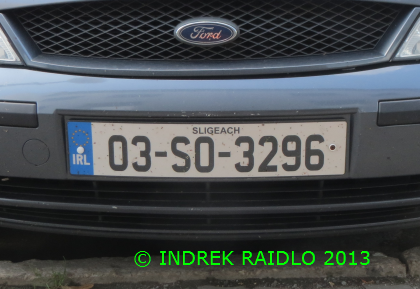 98 = first registration in 1998. D=Dublin. COMMENTS: normal series from 1987 to 2012. Plate style since 1991. 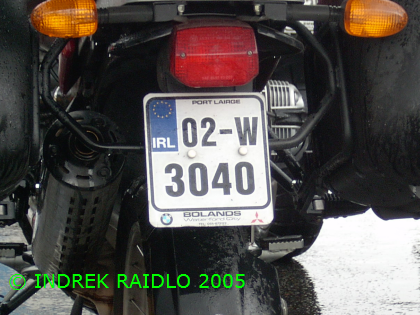 03 = first registration in 2003. SO=Sligo. COMMENTS: normal series from 1987 to 2012. Plate style since 1991. 95 = first registration in 1995. WX=Wexford. COMMENTS: normal series from 1904 to 1987. Plate style from 1904 to 1987. 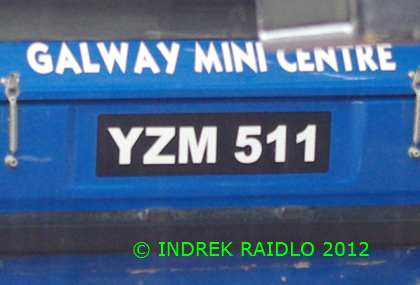 ZM=Galway. COMMENTS: normal series from 1987 to 2012. Unofficial plate style. 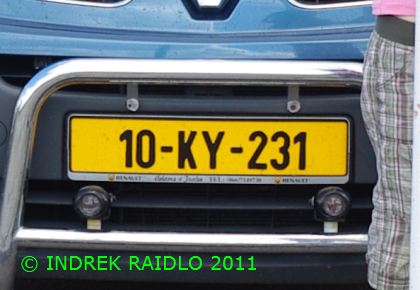 10 = first registration in 2010. KY=Kerry. COMMENTS: normal series from 1987 to 2012. Plate style since 1991. 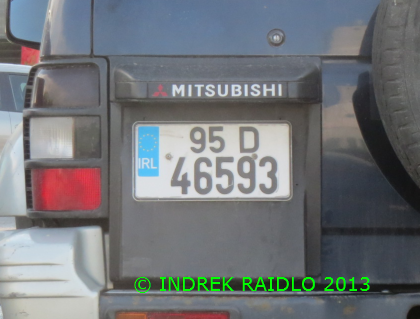 95 = first registration in 1995. D=Dublin. COMMENTS: normal series from 1987 to 2012. Plate style since 1991. 94 = first registration in 1994. 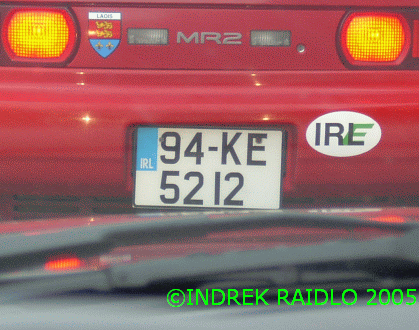 KE=Kildare. COMMENTS: normal series from 1987 to 2012. Plate style since 1991. 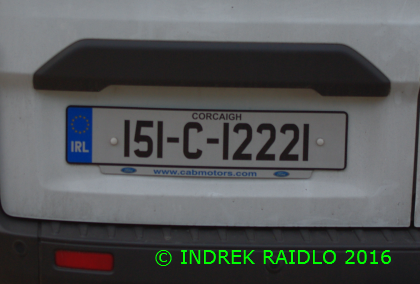 02 = first registration in 2002. W=Waterford. 1. 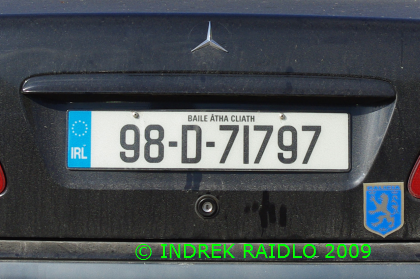 Euroband on Irish plates since 1991. 2. 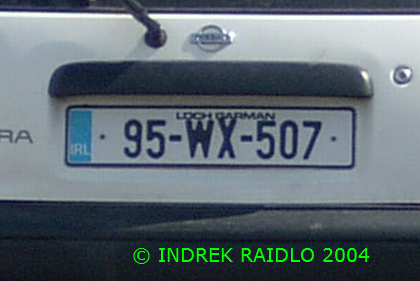 Irish normal series plates usually have above the registration Gaelic name of the region where the vehicle was registered.